Mechanical Thinking is a new series that presents new houserules that you can add to your home D&D games, and then interrogates the underlying mechanics, examines what problems the rule solves, and identifies what the rule can do to improve your game. Then, once all is said and done, join me and other readers in the comments for a discussion about the proposed rule. Just remember that all rules have their place, and while they might not fit your table, they might be perfect for another gaming group. If you have a mind for mechanics or for the process of game design, or if you want hone the mechanical side of your RPG knowledge, this series is for you! Some adventurers fight recklessly, allowing them to land cutting blows at the cost of leaving their most vulnerable areas open to attack. Once per turn, when you miss with a melee attack, you can choose to hit instead. If you do so, any attack that hits you before the beginning of your next turn is a critical hit. Overextending is a house rule that arose in one of my games when my players were growing frustrated that they effectively wasted their turn whenever they missed with their attack. There’s merit to this frustration; in a turn-based game like D&D, a player can sometimes be left waiting a long time for their next turn in combat to come around, especially if there are a lot of players at the table or if the DM includes a lot of monsters in a single combat. Make turns go by faster. Give players more opportunities to act off-turn. Make player turns “count” more. Introducing a system that allows characters to succeed at a cost (similar to more narrative-focused games like Dungeon World) helps the story feel dynamic, even if it actually puts the “successful” character in a worse position overall than failure would have. This helps players feel like their turn has counted, because even if they’re suddenly in a bad position, they’ve managed to make the combat encounter more interesting. There are other ways of making player turns feel like they mattered. If the DM or player has good descriptive chops, then they can narrate the missed attack roll in a way that gives the player a little more time in the spotlight. Even if their turn didn’t accomplish anything, being able to stay in the spotlight just a bit longer can help them narrate their actions and let them have narrative fun a little longer, even if they aren’t having a ton of mechanical fun. That said, this house rule isn’t perfect. Every rule, even official ones, can and should be tweaked to better serve the table that they’re playing at. Consider what the effects of allowing a player to automatically hit once per turn can change the game. Rogues and paladins, whose Sneak Attack and Divine Smite features give them huge damage bursts as long as they hit, would love to have this feature. Guaranteeing a hit can remove tension from an otherwise nail-biting die roll. Meanwhile, fighters who have many attacks per turn, but with very few added effects, are left in the dust by this feature. Additionally, some players may think that opening their character up to devastating critical hits is too much of a drawback, especially if you’re using the modified version of the rule above, and the attack isn’t guaranteed. A way to soften the impact of the drawback, while still keeping it threatening, is to instead allow all creatures adjacent to the overextending character to make a single attack against them. Some adventurers fight recklessly, allowing them to land cutting blows at the cost of leaving their defenses open to counterattack by opportunistic foes. Once per turn, when you miss with a melee attack, you can choose to reroll the attack with advantage. If you do so, all creatures within 5 feet of you can use a reaction to make a single melee attack against you. I would place this rule under the "Melee Attacks" in chapter 9: Combat of the Player's Handbook. Would you use this house rule at your table? What about it appeals to you, and what would you change to better suit your group’s playstyle? Let me know in the comments! The problem is that it costs nothing but a potential hit to effectively roll three attack dice and take the highest. I would say you spend your reaction to use it and it provokes attacks of opportunity as opposed to that 5 ft rule. It fits within the game rules better and the player must spend a resource to get the benefit. There's definitely something to the idea of spending a resource to use this. A reaction might be enough! Notably, the ONLY action that provokes opportunity attacks in fifth edition is movement. There are other features that have similar effects, such as the Sentinel feat, that allow you to make an attack as a reaction, but it is not an opportunity attack. These "like an OA but not" attacks are worded very specifically. The creature that provoked the attack must be within 5 feet, and "you can use your reaction to make a melee weapon attack against the attacking creature." I don't think that consuming a reaction is enough of a cost, especially a fighter that as few, if any, abilities that require a reaction. At worse, they lose their potential attack of opportunity that they may not even need. In my games, reactions are very rarely used. I kind of hate this, sounds to me you either have an issue where you are having too many little monsters slowing fights down or your PC's can't deal with the occasional failure. You should be able to have fun seeing your party put in work even if you have missed a couple actions. This is the series this channel was missing! Thank you guys! Excellent! I would rather see it grant advantage to all attacks made against the hero until the start of their next turn. True it's very heavy for paladin and rogue to land a guaranteed hit, but aside from those situations it loses its appeal to other classes. I could see granting an immediate counterattack from the intended target as well. Interesting idea. I like that delved deeply into its pros and cons and gave some alternatives. I also think its a shame that missing on an attack roll needs a rule for some groups. 13th Age's Escalation Did is a good way to speed up combat too. I would suggest backlash damage. Some adventurers extend themselves to their limits, allowing them to land cutting blows at the cost of their own health. Once per turn, when you miss with a melee attack, you can choose to hit instead. If you do so, you receive the same damage. This would translate in a fighter meeting a blade so theirs would hit, or a paladin smiting with such radiance that it also singes them, or even a spellcaster getting drained by their own spells. I'm sure someone could come up with a cool idea for ranged attacks as well. only range can hit range though, so if you miss your attack at range, it's not going to be as devastating as if you missed a melee attack. you've wasted your turn, and now the enemy you are attacking can attack you. range doesn't have to deal with that. This is the first time an article on DNDBeyond drew my attention enough for me to read the entire thing at once. I love the concept of this new series! Now, I believe the mechanic is pretty solid in its initially-stated form; however, it feels a lot like old 3e feats. There is nothing wrong with that, in my opinion. But I need to get a firmer grasp on the concept behind feats in 5e versus special attacks/actions. I have 35+ years of D&D experience, but 5e is a completely different and new beast to me. Are feats to be advantages without consequences, and are options/special attacks meant to be advantages with consequences? If so, then this is definitely a special attack. My concern with this (as a feat or special attack) is when you play on grids and the PC is isolated from the rest of the combatants. There is no drawback to using this option if they can see that their opponent is "on the ropes." I think the updated form below that (allowing another try with advantage) is a decent fix, but it also brings into play Sneak Attack features, which can overpower this special attack. I can see the desire to add such a thing. At the same time, I would say that the DM should instead add more variants to the enemies. If a player is missing a lot, have some enemies have low AC but higher HP so they are more likely to hit, but the balance of the fight is still roughly the same. That also lets enemies with higher AC stand out more, as the party will miss more and you as the DM can describe the players' attacks as being very powerful and accurate, yet the villain blocked/dodged it non-the less, highlighting the villain while also making the PC look cool and capable even if the player isn't feeling that way. This steps on the toes of a barbarian. 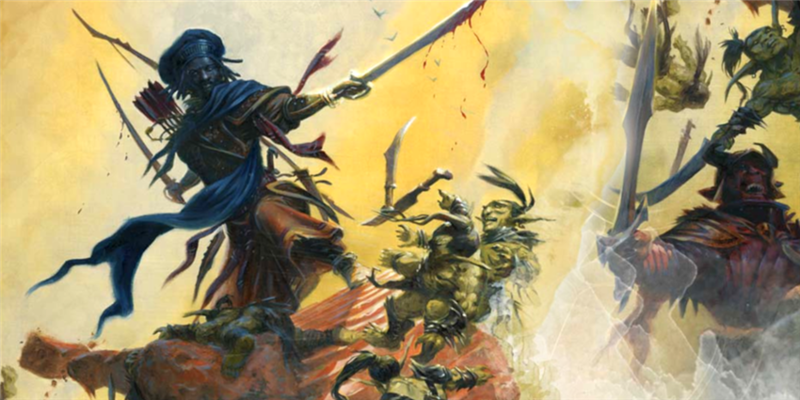 Reckless attack is a core feature of the barbarian and this house rule gives it to everyone. If you give this to a phaladin you'd need to give smite to a barbarian, etc. Groups that use this rule better have at least 1 Grave Domain Cleric per party. Maybe let them lose a point or two in AC and perhaps let them do another action on the list of available actions. Like in Melee if the fighter misses, they can attempt to shove the opponent or something similar to a dodge using dex to react to the missed attack. I might even make the player use their reaction to make the hit. It fits, but I'm not sure if its too much of a cost. Super neat though! I like the idea of this rule a lot, as it gives an oppurtunity for players who are struggling in combat to get back in the spotlight. The initial ideas above do have some issues (not to mention it steps on the toes of the Barbarian, but let's just ignore that for now), so after looking through the comments, I have developed some ideas for this Rule that use suggestions from the comments and some of my own ideas. "Some adventurers fight recklessly, allowing them to land cutting blows at the cost of leaving their defenses open to counterattack by opportunistic foes. Once per Turn, when you miss with a Melee Attack, you can use your Reaction to reroll the Attack with Advantage. If you do so, all Creatures within Reach of you can use a Reaction to make a single Melee Attack against you, which they make before you make your Attack. If your Attack Hits, you do not add your Ability Modifier to the Damage Roll, and the Attack can not be a Critical Hit." I feel like this is balanced on its own, but if you don't want your players to spam this feature, you could simply add: "If you use this more than a number of times equal to your Constitution Modifier (a minimum of once) before taking a Short (maybe) or Long Rest, you gain a Level of Exhaustion each time you use it." With the way this is written, it could work as both a Feat or something that everyone has access to. If it was a Feat, you could consider adding: "Increase your Constitution by 1, to a maximum of 20", allowing a potential increase to your Modifier so that you can access this ability slightly more (assuming you want to use Con Mod/Rest). However if you wanted this to be something everyone has access to, you could include a new Fighting Style as a boost to this ability for the Martial Classes that would use it. "When you Overextend a Melee Attack on your Turn, you can add your Ability Modifier to the Damage Rolls." Or as an alternative: "When you Overextend a Melee Attack on your Turn, the Attack can be a Critical Hit." Otherwise, you could combine the two as the same Fighting Style, which I wouldn't suggest as that would likely be too powerful. I hope this draws inspiration for others and smooths out the balance of the Rule in general. I think hit-die are an underused mechanic, and that they should be available as a resource, representing extreme effort and expenditure of adreneline/magical power/karma, etc. Something like the last version, but with the cost able to be paid either through expenditure of a hit die, or the reaction from other creatures. I really like the concept, and the proposed Exhaustion cost. Because some characters are just impossible to hit even at low levels so giving them a crit again them or even advantage to hit them means nothing to a level 2 Bladesinger with 18 Dexterity, 20 Intelligence, Mage Armor and Shield. So a cost greatly makes more sense for my group! I would say you spend your reaction to use it and it provokes attacks of opportunity as opposed to that 5 ft rule. It fits within the game rules better and the player must spend a resource to get the benefit. Consider this: missing an attack in D&D isn’t just painful because you didn’t contribute to whittling away your foe’s hit points, but because nothing happened. Alternatively , you could play a game with a non-binary randomization system.